E’ il frutto della Consensus Conference sul Linfonodo Sentinella tenutasi nell’ambito 8th International Symposium for SNB in Head and Neck Cancer, Londra Aprile 2018 , cui ho avuto il previlegio di contribuire in qualità di membro della Steering Commitee. 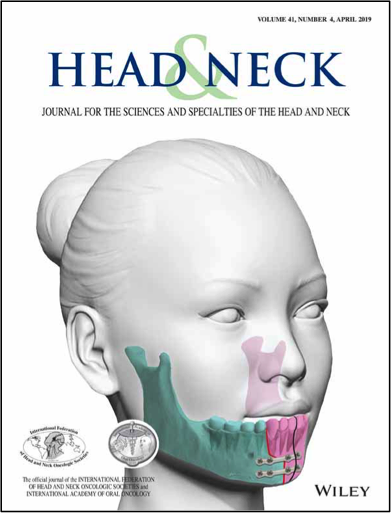 The eighth international symposium for sentinel node biopsy (SNB) in head and neck cancer was held in 2018. This consensus conference aimed to deliver current multidisciplinary guidelines. This document focuses on the surgical aspects of SNB for oral cancer. Invited expert faculty selected topics requiring guidelines. Topics were reviewed and evidence evaluated where available. Data were presented at the consensus meeting, with live debate from panels comprising expert, nonexpert, and patient representatives followed by voting to assess the level of support for proposed recommendations. Evidence review, debate, and voting results were all considered in constructing these guidelines. A range of topics were considered, from patient selection to surgical technique and follow‐up schedule. Consensus was not achieved in all areas, highlighting potential issues that would benefit from prospective studies. Nevertheless these guidelines represent an up‐to‐date pragmatic recommendation based on current evidence and expert opinion.